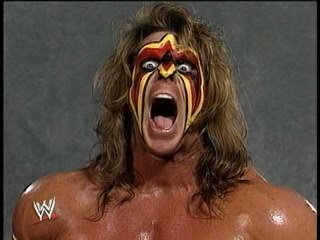 One of the biggest professional wrestlers Ultimate Warrior (Brian James Hellwig) will be returning to the squared circle June, 25 2008 in Spain to wrestle Orlando Jordan in a 1 on 1 match. Warrior has not wrestled in roughly more than 10 years, he will be stronger and better than ever, it will be a historic match up for the ages. The Ultimate Warrior was born June 16th 1959 hailing from Crawfordsville, Indiana soon becoming a professional wrestler, he made it to the world wrestling federation that’s when he received the gimmick "the Ultimate Warrior” with his time in WWF he has achieved many things including winning the WWF championship WWF intercontinental championship, he was also a former WCWA heavyweight champion, and WCWA tag team champions. We will soon see the return of the warrior he will make a big impact on his huge return best of luck to the Warrior.